That is the message of Mr Joe Green, Chairman of the Firearms Safety Council Aotearoa New Zealand, as the roar approaches. On average 1 deer hunter is killed each year when one hunter has shot another whilst deer hunting; failure to identify the target being a primary factor says Mr Green. 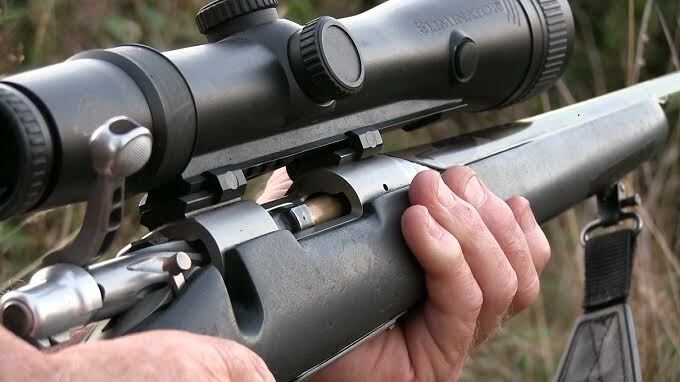 Identifying your target beyond all doubt is one of the seven basic rules of safe firearms handling and should be second nature to all hunters. Hunters should sight the head, neck and shoulder of the animal all at the same time, or at least sufficient of the animal to confirm target identification. “No shooter should ever fire at shape, colour, movement or sound”. Beware under certain circumstances the brain can trick the eyes. Assume any shape, colour, movement or sound is a human until you can prove otherwise says Mr Green. Wearing coloured clothing that contrasts with the environment, including deer, can help you be seen by other hunters. Ultimately, though the responsibility of target identification lies solely in the hands of the shooter. In most of the incidents causing death and injury the shooter and the victim were in the same hunting party. They deliberately separated which became the beginning of a series of factors leading to tragedy. You and your hunting companions should stay together says Mr Green. If you do separate, then stop hunting until you regain visual contact. Take special care during the roar, comply with all the seven basic rules of firearms safety, make sure you positively identify your target beyond all doubt and if you are hunting with a companion stay together. – Check every firearm yourself. – Pass or accept only an open or unloaded firearm. – Loaded or unloaded, always point the muzzle in a safe direction. – Load only the magazine after you reach your shooting area. – Load the chamber only when ready to shoot. – Completely unload before leaving the shooting area. – Movement, colour, sound and shape can all deceive you. – THINK! What may happen if you miss your target? What might you hit between you and the target or beyond? – When not in use, lock away the bolt, firearm and ammunition separately. – Good judgement is the key to safe use of firearms. Lifetime firearms ban on hunters who kill other hunters?